This is an Inspection and marketing application used by Inspection companies to manage their Inspection business. It has many features, including automated inspection forms, agreements, tracking, etc. If you would like to join our network or hang you license and contract with one our approved inspection companies, please complete as mush information as possible. As approved Inspector you will be held to a higher service standard and your willingness to ensure our network policyholders and clients are 100 % satified with your work is imperative.Please note that all credentialing must be complete prior to activation, including background check reviews. Once activated you will apprear on the find Inspector features and other marketing opportunities as approved for. Thank you again for your patience. This an inspection application used by inspection companies to manage their inspection business. It has many features, including automated inspection forms, agreements, tracking, etc. If you would like to join our network as an approved inspection company please complete as much information as possible. Please note that all credentialing must be complete prior to activation, including background check reviews. Once activated you will appear on the find Inspector features and other marketing opportunities as approved for. Thank you again for your patience. If you would like to join our roster as an approved adjuster or IA firm please complete as much information as possible. Please note that all credentialing must be complete prior to activation, including background check reviews. Once activated you will appear on the find Inspector features and other marketing opportunities as approved for. Thank you again for your patience. If you would like to join our network as an approved contractor please complete as much information as possible. Please note that all credentialing must be complete prior to activation, Including background check reviews. Once activated you will appear on the find Contractor features and other marketing opportunities as you are approved for. 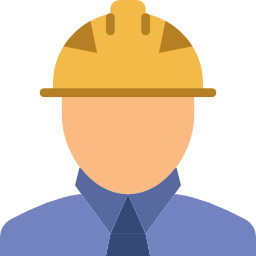 As an approved contractor you will be held to a higner standard and your willingness to ensure our network policyholders and clients are 100% satisfied with your work is imperative. Thank you again for your patience. Your selection with Inspection Depot, starts here. To be part of the Inspection Depot network and team requires all inspection companies, inspectors, contractors and IA firms to complete a rigorous credentialing process whereby members abilities, customer service skills, technical know-how and overall abilities will all be put to the test during this process. Your willingness and eagerness to provide the necessary documentation and information and to comply with all standards will be your goal to sucess. We truly appreciate your patience and understanding and we look forward to you joining Inspection Depot network. Once your application is complete and approved you will be provided access to out application, front end marketings features, inspection reporting and leads.